The Odeon (Bouleuterion). Scene and spectator seats. The Odeon was used for poetry-readings, small concerts and prize-giving ceremonies. 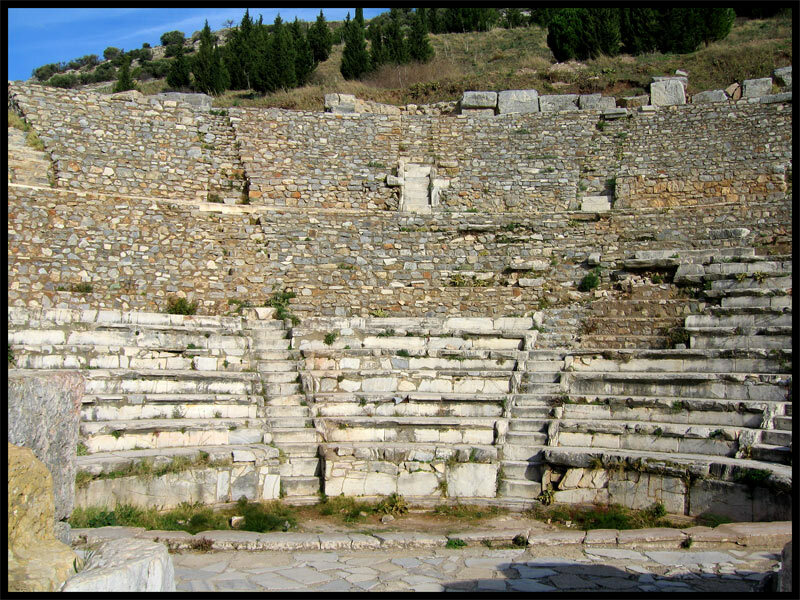 In Hellenistic times, theatres and odeons were as important as temples in the life of the people. Enjoyment for the Romans meant food, games and spectacles. The cry of the decadent people for “Bread and Circuses” is witness to the countless mad spectacles that were provided.